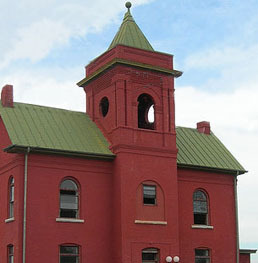 In 2008, Newton County taxpayers voted to fund the rehabilitation of the historic county jail into a museum of county history with public meeting space. Avient Museum Services, a museum and exhibit design firm in Atlanta, was hired to develop the museum exhibit. 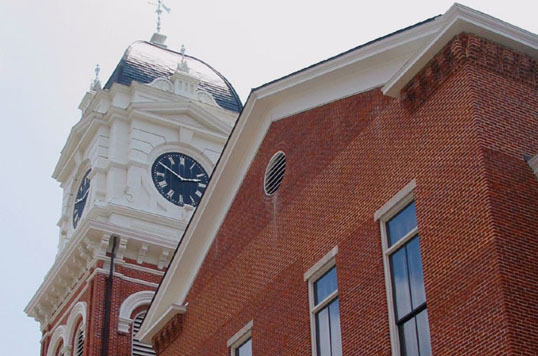 Principal Kathryn Dixson hired Laura Drummond to research a variety of topics as a basis for planning the History of Newton County installation at the historic county jail in Covington, Georgia. For the project Laura researched the history of Newton County, interviewed local historians, and compiled an extensive, in-depth county timeline for use in the exhibit. 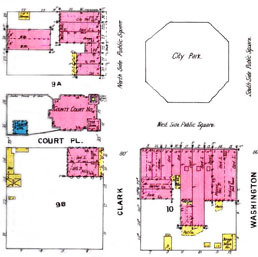 Because all geographic areas of the county were to be represented in the exhibit, Laura researched the individual historic communities and their locations, and stories from each to be told at the jail museum. Image lower right: Sanborn Map Company; detail from Sheet 2 of Covington, Newton Co., Ga., Aug. 1895 / Sanborn-Perris Map Co., Limited; University of Georgia Libraries Map Collection, Athens, Ga., presented in the Digital Library of Georgia.